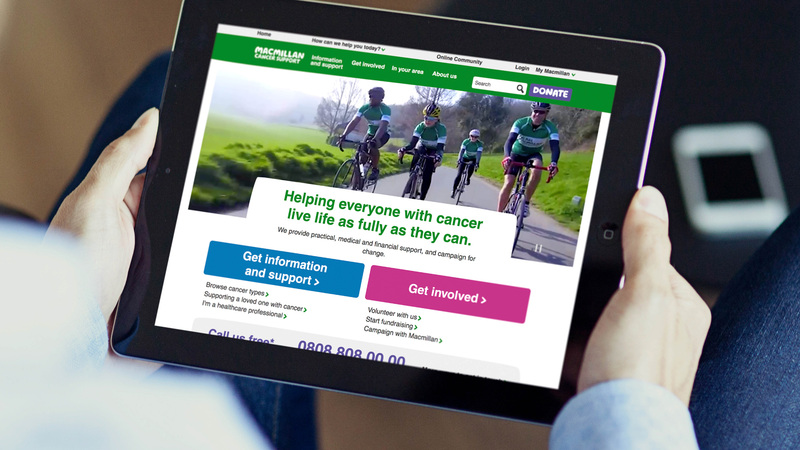 Established in 1911 (originally as the Society for the Prevention and Relief of Cancer), Macmillan Cancer Support (named after its founder, Douglas Macmillan) is one of the largest and most well-known British charities, with the mission to help improve the lives of people affected by cancer by providing physical, financial, and emotional support. 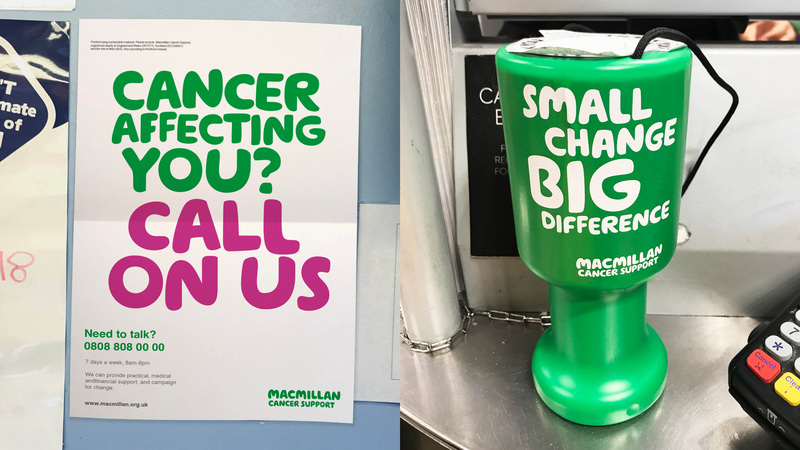 In 2017, its fundraising efforts generated £247.7 million that help support the wealth of information they offer and the campaigning they do on behalf of cancer issues and patients. 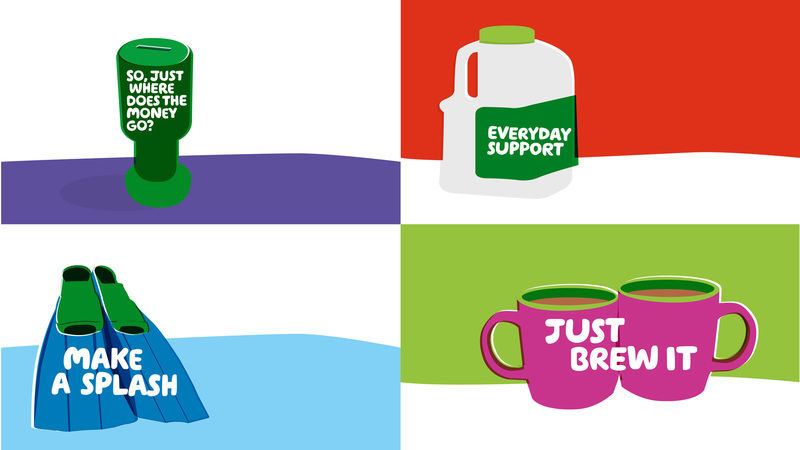 Last week Macmillan introduced a new identity designed by Dragon Rouge. 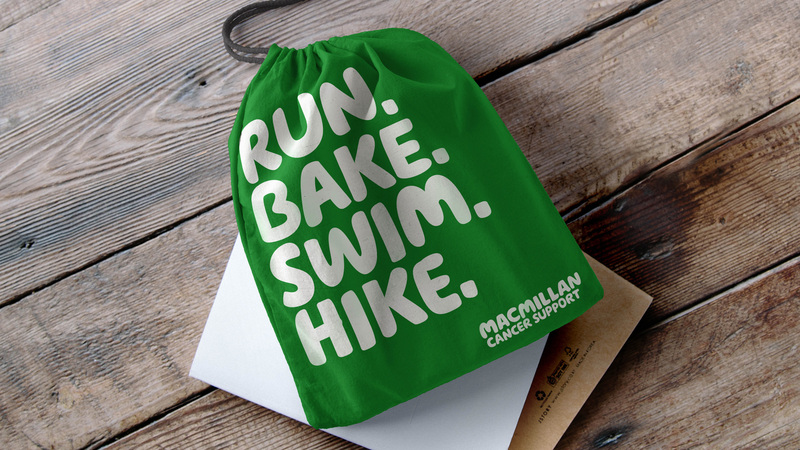 In line with the new brand strategy, Macmillan also worked with Dragon Rouge on the brand’s identity. 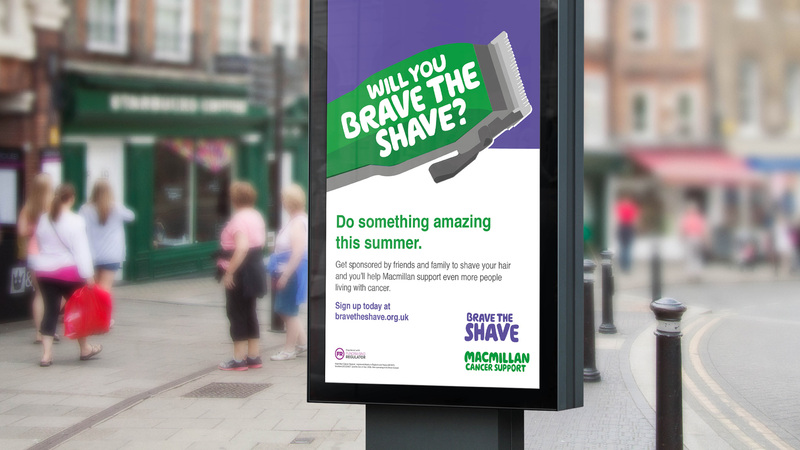 Whilst strong and iconic, the existing brand identity had grown and adapted over time, and now needed to not only work harder to flex across different audiences, but also stand out further, appeal to a more diverse audience and work more naturally across digital channels. 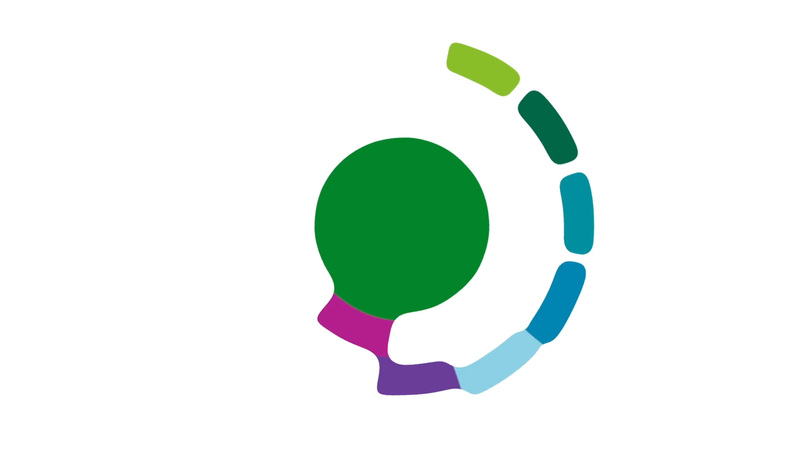 The result was a new design system approach to all parts of the identity, from the masterbrand logo, to colour, photography and graphic assets, being careful in the change to retain the important equities of the existing identity whilst adding freshness, broader relevance, standout and versatility. 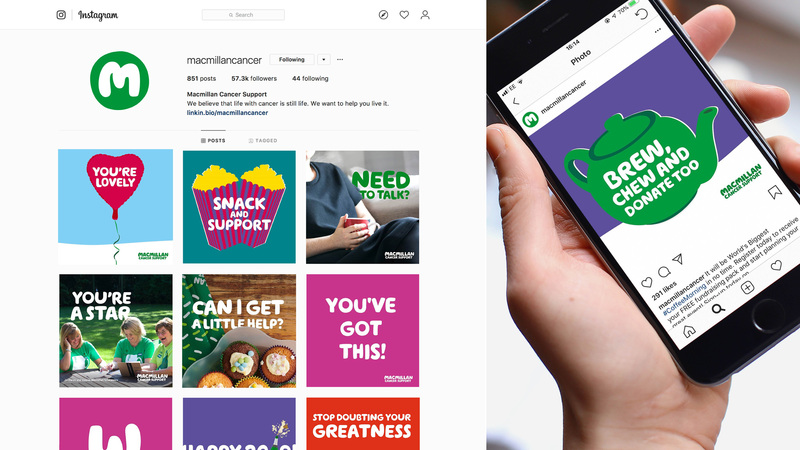 Wolff Olins’ redesign of Macmillan in 2006 is one of those significant milestones in identity history for its originality, oddity, and, as the years would prove, effectiveness. It’s a relief to see that that work is not being completely replaced; at least not yet. (10 years from now, it wouldn’t surprise me.) The new logo maintains the aesthetic of the old and in all of its nearly indistinguishable quirks it makes small improvements that provide a subtle upgrade. It’s easy to ask “But, why?” as they are changes almost no one will notice but I do think this is a stronger rendition of the original intent and an evolution that will ensure the logo will last for another 10 years (or more). 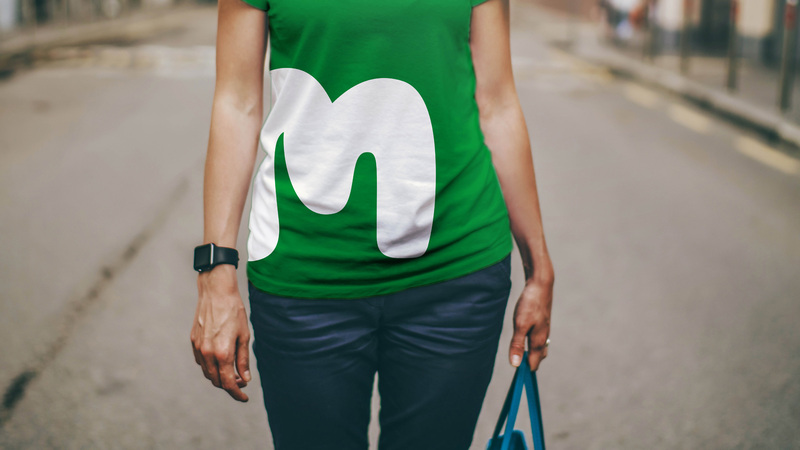 Making the initial “M” a little more quirky allows it to stand on its own as a monogram — it might not have the impact of something like Movistar’s “M” but maybe one day. The new custom font is a nice evolution as well — if you analyze the images on the Wolff Olins link above, you’ll see some cringe-worthy letters in the applications. The new font is more purposely font-ish, whereas before it was trying to be more evidently hand-drawn and allowed for some questionable designs. 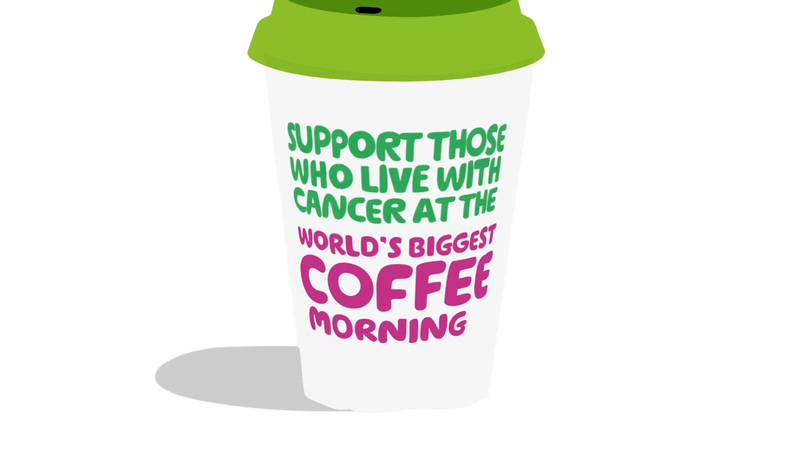 “World’s Biggest Coffee Morning” fundraising event animation. 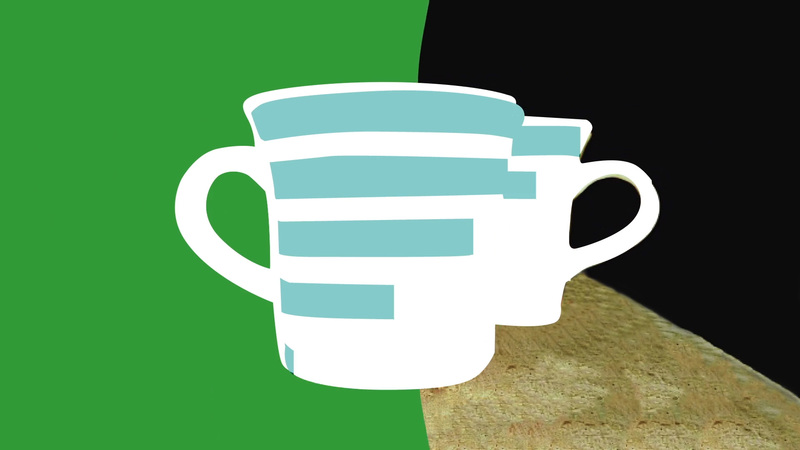 The new illustration style is interesting… I get that they are trying to emulate the wobbly aesthetic of the logo and the font but I feel like they come across as a little too unpolished, especially when placed in an ad as seen below. There is something cheap about it. Nonetheless, there is also something good in there and I like that the illustrations are not on trend. I’m quite surprised at how un-designed the website is… it’s so default-looking I feel it takes away from the strength of the brand. I imagine it’s on purpose, to make access to information as straightforward as possible, but as one of the main touchpoints of the brand it seems like it’s doing it a disservice. The custom font does a good job in unifying the messaging on social media but maybe these all lack one degree of finesse somehow? 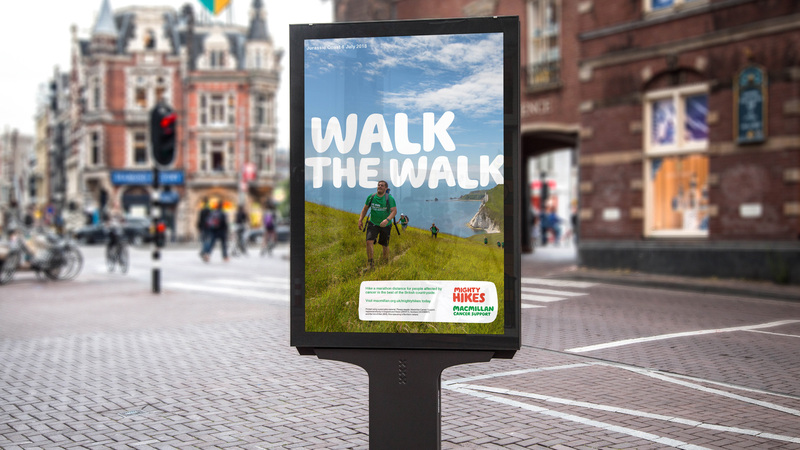 Overall, this is a modest evolution that introduces some new ideas into the identity and allow it to continue building on the effort of its predecessor without trying to reinvent the wheel when it doesn’t need to be. Новости Союза дизайнеров Все о дизайне в Санкт-Петербурге. а также рустик, кибер и стимпанк. Разработка дизайна упаковки С чего начать и к чему стремиться.